Are you in the search for the best ice fishing heater? Look no further because we have researched some of the top heaters for ice fishing for you. We have taken the hard work out of choosing an ice fishing heater and chosen the top 3 for you with our recommendation of the best heater for ice fishing along with detailed ice fishing heater reviews of all the products and a buyer's guide. When you’re ice fishing with friends and family the last thing you want is to be cold. Being cold not only makes the whole experience less pleasurable but, it can also have some undesirable side-effects such as clumsiness, frostbite and in extreme cases complications such as hypothermia. One quick and simple way to avoid feeling the chill next time you’re with your buddies out fishing is to invest in a heater. In this article we’ll look at some of the features to look out for when choosing the best ice fishing heater and why they matter. And of course, some all-important safety considerations. I already know about Ice Fishing Heaters. Take me to the Reviews! Taking a portable ice fishing heater when you go on your next ice fishing trip should really improve your comfort and enjoyment and who doesn’t want to stay out fishing for longer right? But there are a huge range of styles, so knowing what you want from a heater will guide you into what type to look for. For example, you could go for simple hand and toe warmers which will keep you more comfortable in the short term but aren’t suitable for longer stints on the ice. For that you’ll want a portable ice fishing heater. The output of your ice fishing heater is usually measured in BTUs – British Thermal Units, an internationally recognized method of calculating the output of heating devices. To understand what size heater will best suit your needs, you need to look at the output of the heater and the size of the area you wish to heat. Here size matters! And don’t be fooled into thinking that bigger is always better, it really isn’t always true! Firstly, you need to work out the size of the space you wish to heat. To determine the square footage of your hut, cabin or shelter simply multiply the two side measures – for example a hut measuring 8 x 6 has a square footage of 48. You can now estimate how much room you need to heat. Most heater companies will list the footage area they will heat. In this instance it’s better to choose a heater which will comfortably heat the internal area and not purchase a bigger model with a higher heating area as it’ not necessary. You want to be comfortable, not melting! 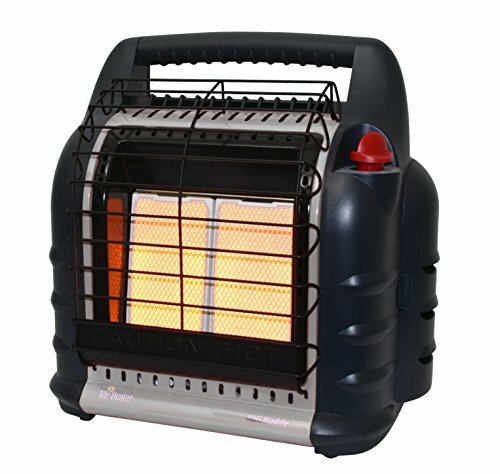 Portable heaters come in a variety of sizes, styles and shapes so you are bound to find one that is ideal for your budget and location. The majority will have a handle for ease of movement, some larger heaters have wheels. The smallest heaters look and feel much like a flashlight with a cylindrical handle which can be carried or placed on the ground or flat surface. Again, when looking at the style of heater, think about how far you will have to carry your equipment and heater before you reach your cabin or shelter. It’s weight and ease of movement are important considerations when choosing a heater. There is a great diversity within this field of heaters, from the small handheld types to larger heaters that require heavy fuel tanks. Most portable ice fishing heaters have handles, which will often fold down for ease of storage. If weight is an issue you can stow some of the Mr Heater® Buddy® heaters in their range of carry bags which can be slung over a shoulder leaving hands free to carry other essentials. 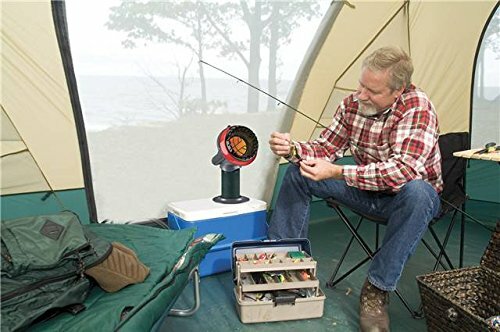 Although we are looking at portable ice fishing heaters here, there are some models which allow you to mount them on a shack wall. These are not meant to be permanently left or mounted. But, being able to mount them up and out of the way means they’ll be more floor space and they’ll be less likely to cause accidental fires if knocked over etc. If you plan on using your heater over an extended period, you may wish to choose one that offers you heat control settings. This will allow you the option to select the heat you want, usually low, medium and high. Ideal if you plan to sleep in your hut and the temperature is likely to drop considerably. Depending on how long you plan to be on the ice, will depend on which model, make and style you chose. Don’t forget that you will not only have to take your heater with you but also your fuel tanks. So consider how long a canister will last and how many you may have to carry onto the ice for the duration of your fishing trip. Chose a heater with as close to a 100% fuel burn rate as possible. Not only is this more efficient, it also means a cleaner and less smelly environment within your cabin or shelter. Low-oxygen detector – prevents CO poisoning by shutting-off the fuel if the oxygen level falls below a certain level. Anti-tip – prevents units from tipping over and causing fires if they fall, tip or are placed on a sloped surface. Automatic shut-off – prevents CO poisoning by shutting-off the fuel output if the pilot light or flame is extinguished. Exterior protection – a metal grill or cage prevent fires by protecting the heating element from coming into contact with flammable materials. When using any type of heating device near or on the ice, it’s vital to follow some simple safety tips to ensure you and your fellow fishers are safe. This is especially important if you plan to use a heater within a confined space such as a hut, shelter, tent or cabin. Carbon Monoxide (CO) poisoning can prove fatal in a matter of minutes to both humans and animals so, it’s vital to understand the warning signs and adhere to the safety precautions recommended by the heater manufacturer. If you plan on using a fuel heater inside your cabin or shelter it’s worth taking a look at Ice Fishing & Carbon Poisoning produced by the Michigan Department of Community Health. This one-page document has simple guidelines on how to keep yourself safe when using heaters along with the symptoms of CO poisoning. Products with CSA Certification have undergone external rigorous testing to ensure their customers receive high-quality, safe products. The CSA Certification on ice fishing heaters will determine whether it has been certified for indoor use, outdoor use or both. Along with the hoses, regulators, fuel tanks and other important accessories you’ll need to pick up for some portable ice fishing heaters; other items such as Mr Heater® great range of carry cases and bags, make transporting and keeping your heater clean, easy. Not only do they provide the perfect solution to carrying your heater, there’s space for other kit too. Note: If you are planning on using a heater for ice fishing in Massachusetts they have strict laws about which heaters can and cannot be used (and sold) – IT IS ILLEGAL TO SELL OR USE AN UNVENTED KEROSENE HEATER IN MASSACHUSETTS. 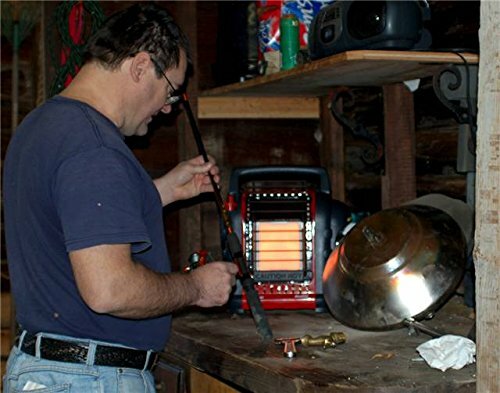 Likewise, if you are planning on ice fishing in Canada they too have different regulations on which heaters can be used – this is especially true where heaters are certified as for use both indoor and outdoor in the US, this may not apply in Canada and your heater may only be certified for outdoor use. Don’t forget to check the individual area regulations for details on permits and licensing and local weather conditions and conditions on the ice. Have fun on the ice – stay safe. 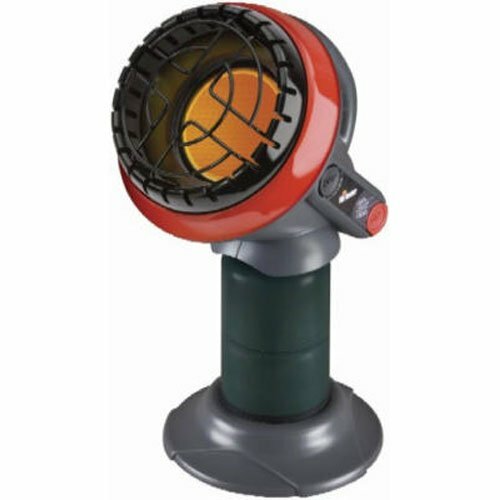 The Mr. Heater Portable Buddy is the model that sits between the Big Buddy and Little Buddy in terms of BTUs. The Portable Buddy can run at either 4,000 or 9,000 BTUs and is perfect for ice fishing shanties thanks to it's lightweight form, foldable carry handle and Oxygen Depletion Sensor (ODS). This heater is perfect for those needing to heat a space up to 225 square feet for 3-6 hours. Mr. Heater also has a whole hosts of accessories such as carry bags and hoses (for hooking up to larger capacity cylinders). You can also expect a near 100 percent clean burn thanks to the Portable Buddy's design. Overall this is a great portable heater that can still pump out the heat and is why we choose it as the best ice fishing heater you can buy on the market today. 15 x 9 x 14.25"
There is not much we can fault about this great product from Mr. Heater. That's why the Portable Buddy is our recommendation as the best ice fishing heater on the market today. This is a beast of a heater from Mr. Heater. Certainly highly recommended for large areas and colder ones too. 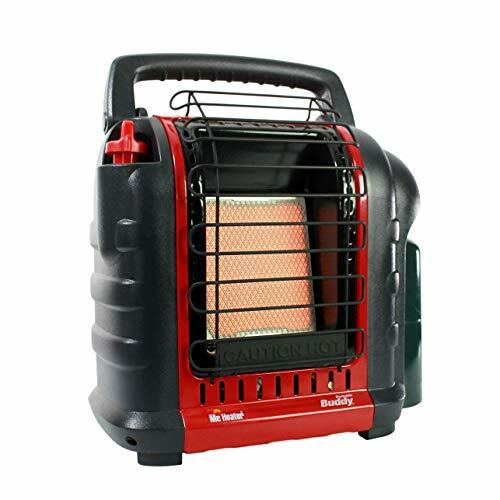 This is the best ice fishing heater you can buy on the market if you are looking to heat up to 450 square feet. 18.5 x 19.00 x 12.00"
Electric blower requires electricity. Although you can use 4 D batteries if you are in an area with no plug sockets for the AC adapter to plug in to. Not much to fault with the Big Buddy. This is the best ice fishing heater for larger areas up to 450 Square Feet. 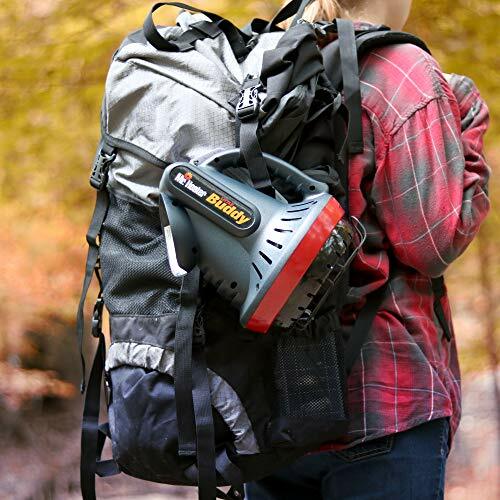 As stated above I would probably spend the extra money and opt for the Portable Buddy to benefit from the extra BTUs and the ability to connect to a 20 Lbs canister. A great little heater. Although this is only going to heat up to 95 square feet and at 3,800 BTUs. As you can tell from our article every product is from Mr. Heater Buddy range. That's with good reasons too. All of our selections are high quality, good value for money and score highly in customer reviews. The best ice fishing heater really depends on your need for heat and size of your room. The Mr. Heater Portable Buddy wins our verdict as the best ice fishing heater thanks to its portability, heat output, durability and great price point. However if you are looking for a little more heat and in a bigger room then opt for the Big Buddy which can output double the BTUs. If heat is not a major issue for you and you need something very portable and lightweight then opt for the Little Buddy. Copyright 2019 by lahaaland.com DISCLAIMER lahaaland.com is a participant in the Amazon Services LLC Associates Program, an affiliate advertising program designed to provide a means for website owners to earn advertising fees by advertising and linking to amazon.com, endless.com, smallparts.com, myhabit.com, and any other website that may be affiliated with Amazon Service LLC Associates Program.